Vintage Cellars, Australia’s Fine Wine Specialists brings you the Wine Club app. Sign up or Login using your existing Wine Club online membership details to access all your Wine Club information on the go. * Use your virtual loyalty card in store. * View your current points balance. * View available Cellar Shares to buy wine. * Redeem Cellar Shares in store. * Find your local Vintage Cellars wine store location. * Update your details on the go. Download the Vintage Cellars Wine Club app from Australia’s Fine Wine Specialist today! Vintage Cellars is Australia’s Fine Wine Specialist with over 80 stores nationally providing an outstanding range of compelling wines selected from leading producers from around the world. Vintage Cellars team members are passionate about wine and are there to provide you the very best customer experience. 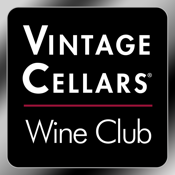 Vintage Cellars has one of the biggest wine clubs in Australia, with members that benefit from a host of rewards. Whether you’re developing a new interest in wine or a connoisseur with a refined palate, you’ll soon see the benefits with exclusive bonuses, member offers, invitations to wine events and savings on the brands you love.